The Cornish have their own recognised language and the Cornish people themselves are a recognised minority group in the UK. Cornwall has its own patron Saint, St Piran, who is celebrated on March 5th where Cornwall’s National flag is flown throughout Cornwall and areas of England. It has its very own National anthem ‘Trelawny’. Cornish place-names (an estimated 80% are of the Cornish language) provides visible evidence of Cornwall’s Cornish/Celtic identity. Yet this identity remains hidden under a political cloak of an English administration. 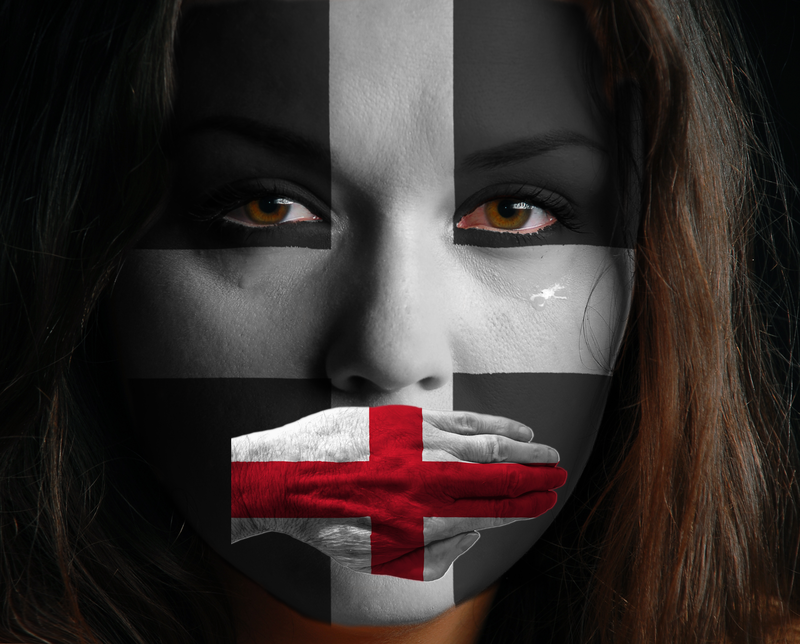 The voices of the Cornish minority are effectively ‘gagged’ as they continue to suffer the ignominy of English assimilation that forces Cornwall – the homeland of the Cornish – to be identified as nothing more than an ‘English county’ and the Cornish cry of ‘Kernow bys Vyken!’ (Cornwall for ever!) rendered meaningless. An example of Cornish voices being ignored appeared on Wednesday 12th, December 2001, when a delegation from Cornwall presented a declaration consisting of over 50,000 signatures for a Cornish Assembly. The Labour government at that time chose not to respond. While England imposes its own identity upon Cornwall, it demands that other cultures assimilate to an English identity also. This hypocrisy highlighted in the article ‘A land built on blood’ by Hywel Williams. This assumed English superiority, so prevalent throughout the decades of colonising other countries, remains the case in Cornwall today, and upheld further by an Anglo-centric mentality that exists at Cornwall Council that calls for English devolution, rather than Cornwall having its own self-defining Cornish Assembly. Cornwall’s assimilation is further assured by the imposed English school curriculum in Cornish schools. Failing as it does to include Cornwall’s history and its progress leading up to the Roman occupation and departure, its wars with invading Anglo-Saxons (English ancestors), it serves to define the ethnicity of Cornish children as ‘English’. With a curriculum that also excludes even a basic understanding of the Cornish language, its inevitable that sections of Cornish schoolchildren reject any pride in Cornish identity and instead become ‘English Wannabees’. Their assimilation complete. The corrupt elite want kids who have no care or idea of their own heritage so that they are ruled and oppressed easily with a vapid existence.